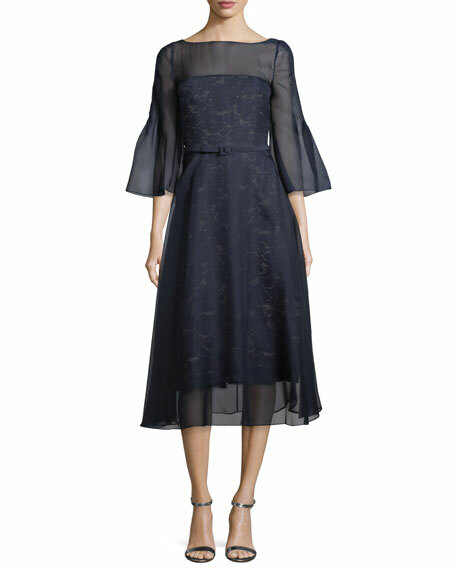 Carolina Herrera cocktail dress with an organza lace overlay. 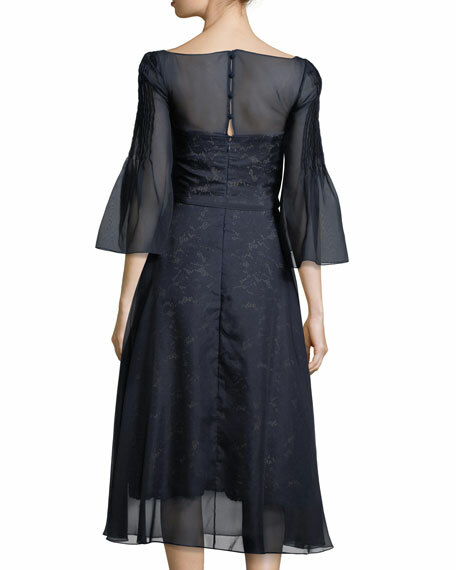 Boat neckline with strapless illusion. For in-store inquiries, use sku #2375954.